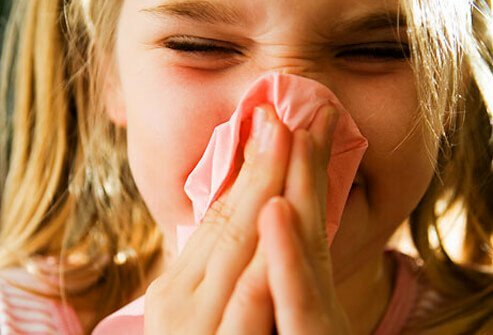 It’s not always that easy to distinguish allergic rhinitis from a common cold. The disease can effectively disguise itself as a common cold that is resulted in lack of treatment efficiency. 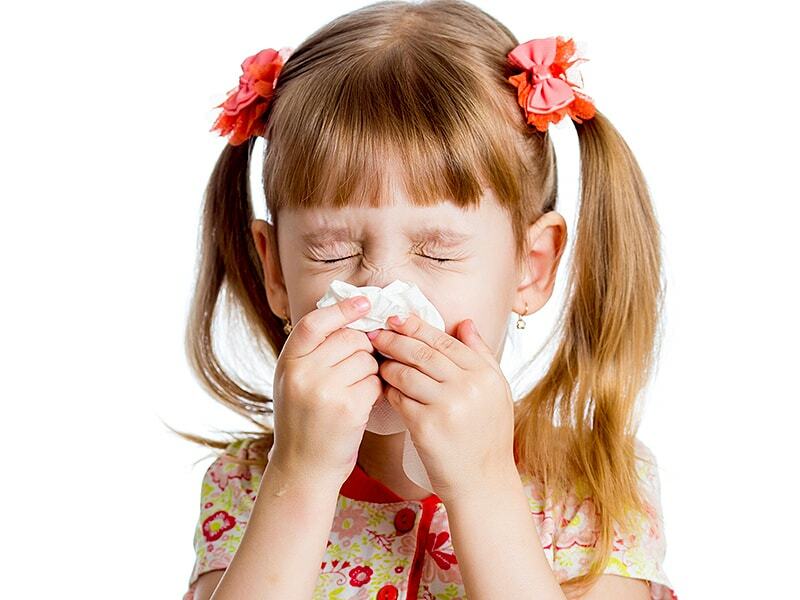 In contrast to cold, allergic rhinitis is caused by exposure of the allergens to which an individual is susceptible. The disease may be seasonal (occur during the period when some plants are flowering) or perennial (when allergy is caused by dust, pet, food, and other non-seasonal sources). Nasal passage oedema, difficult nose breathing. Itchy throat due to post-nasal drip. Mild. The mild symptoms which do not affect performance capabilities. Moderate. The symptoms which cause evident discomfort, sleep disturbances, and impair daily activities. Severe allergic rhinitis. An individual cannot perform his/her functions, his/her life quality is reduced. When establishing a diagnosis, a physician should consider patient’s medical history, nasal cavity examination, paranasal sinuses radiography. The next step would be carrying out allergic tests that help determine which allergens cause allergic reactions. Vasoconstrictors to relief oedema and nasal breathing. They should be used for not more than 3 to 5 days. Otherwise, an adverse effect develops that may result in continuous runny nose during a patient’s life time. This condition is called vasoparalysis, or addiction. Anti-histamine agents to suppress manifestations of allergic reaction. They have an advantage of oral use. The disadvantages are various adverse effects (e.g., somnolence) and certain lack of efficiency due to incomplete blockage of the entire allergic inflammatory process by anti-histamine agents. Only a histamine production-related part is blocked. Nebulizer therapy may efficiently relieve the symptoms and improve patient’s general state. A nebulizer used for the therapy must be equipped with a nasal cannula (since a mouthpiece cannot provide necessary level of medicine delivery to nasal sinuses). A useful and viable option is the Ulaizer™ Air, a compact nebulizer supplied with a complete application set. Connection to a car cigarette lighter or an assembly battery is sufficient to operate the device. The Lorde® Hyal nebulas. Those will clear nasal cavity from allergens and contribute to mucosa regeneration due to such component as hyaluronic acid. Glucocorticosteroids. Those will suppress allergic reaction and improve patient’s general condition. They relieve breathing instantly. The АКК®. It can be administered for nasal bleed treatment. It contributes to bleed control and protection against viral contamination. Inappropriate treatment of allergic rhinitis can lead to the known complications: onset of otitis, purulent sinusitis, and bronchial asthma.